Some of the sweetest, most thoughtful souls alive are introverts. If you’re dating (or thinking of dating) an introverted man, you’ll want to start here. It’s not news that it can be challenging for the sexes to understand each other. For men, it’s hard to understand women. There are a million articles and memes a day reinforcing that fact. For women, it’s hard to understand men too—especially introverted men. The reason introverted men are especially challenging to understand is they’re not as forthcoming with their thoughts and feelings. It’s simply a result of their more private nature. At the same time, these men are such a pleasure because of their warm, thoughtful, gentle, and quietly bold nature. They are such a charm! I spend my days helping these same introverted men attract women naturally, so I’m used to telling them how to better understand women. It will be fun to flip it around a bit today and put these years of research to work for you! Introverted men love an open, no-pressure vibe. They love the feeling of no-pressure spaciousness when it comes to both social and romantic interactions. They love hanging out with their buddies, all of them laughing without a care in the world. Dating can be hard for these men because they can often feel on-the-spot, like they have to produce suave content out of nowhere. That’s exhausting for them, especially if they already feel on-edge. The way to help ease this and bring out a more spacious feel into your interactions with them is to lean back physically—in your own chair or against a wall—while staying engaged. Keep friendly, laid-back body language with them while still being invested in your interaction with them through your bright, curious eyes and warm smile. This will have them feeling at ease around you in no time. They’ll feel like you “get it”—that you get them—and they’ll be so grateful! Introverted men love to feel like they can share at the right pace for them. With more reserved men, there’s a lot more going on in their thoughts and feelings than meets the eye, and they’re really only willing to share that when they feel the time is right. If they’re a little slower to express themselves, or if their expression feels a bit more understated than you’re used to, understand that it doesn’t mean they’re not feeling. They are! They’re feeling a LOT. It just takes more effort for them to express that, and it can take a tremendous amount of effort for them to express it to someone they’ve barely just met. So if you can trust they’re feeling and thinking things they’re just not letting on yet, and if you can feel excited and curious about that idea, that’s excellent. At that point, you’re giving off positive and relaxed vibes. This puts them at ease—which is wonderful. Everyone loves to feel as though they’re intriguing to others while also feeling a sense of space to relax and be their most authentic selves. That can only come from an absence of external pressure to perform or be someone they’re not. Introverted men love to feel like they can relax and be themselves. When you show them you’re interested in them for who they are, they’ll unravel their thoughts and feelings more openly to you than they’re accustomed to. It may surprise and delight them! You’ll hear them say they just feel at ease around you. They might laugh nervously and say they’ve never shared so much before. With the frame of reference that you’ve discovered an incredibly dynamic and interesting person, you put them at ease. At that point, they feel like they can FINALLY just be themselves and that that is enough. It absolutely is. That’s why we love them so much, why they’re so intriguing to us. At the end of the day, understanding introverted men is about giving them space, being patient, and enjoying seeing them open up at the pace that feels right for them and delightful for you. 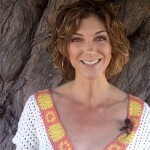 Sarah Jones founded Introverted Alpha to help smart introverted men attract women naturally. Her work has been featured on AskMen, Cosmo, Bustle, Business Insider, San Francisco Chronicle, and more. She loves helping men use their natural strengths to attract women, without having to use tricks or be someone they’re not.